FAU students and alumni are invited to attend the Broward Career Fair hosted by the FAU Career Center at the Davie campus on Thursday, March 21.. Each year, recruiters and representatives from industry-leading organizations participate in this event to provide various job opportunities (internship and full-time) to you. This career fair provides you with an avenue to network with employers and learn about positions in a myriad of industries. Please RSVP in Handshake ahead of time so that you don’t miss out on pertinent information regarding the event! As you prepare to attend, we want you to know that the FAU Career Center is here to support you in your career exploration and goals. Business attire is suggested when you attend the fair, and you'll also want to bring with you multiple copies of your resume. If you need any help polishing up your resume or creating one, please stop by the Career Center. 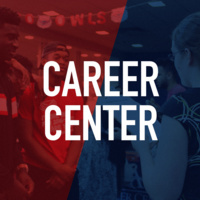 The FAU Career Center on the Davie Campus located in the Liberal Arts Building One-Stop Lobby (LA-109) is open from Monday - Thursday, 9 a.m. to 6 p.m. and Friday 9 a.m. to 5 p.m.. Currently enrolled students may schedule an appointment on Handshake. If you are an alum, please call the Career Center at 561-297-3533 for an appointment. If you have any questions, please contact the FAU Career Center at 954-236-1214 (Davie campus) or 561-297-3533 (Boca Raton campus) or at career@fau.edu.